As we've become more and more adept with technology, we forget the successful ways our ancestors used to live. This vegetable has a history of being grown on homesteads that goes as far back as several centuries. It might be time to bring it back by considering its use on your farm as a way to feed livestock. Mangel beets, known as forage beets or mangel-wurzel beets, were a staple crop on many homesteads until the advent of modern day farming equipment and the rise of big agriculture. Their use is recorded in writings dating back to the 1400s. Mangel beets, also known as fodder beets, contain a wide variety of nutrients in both the root and the greens. 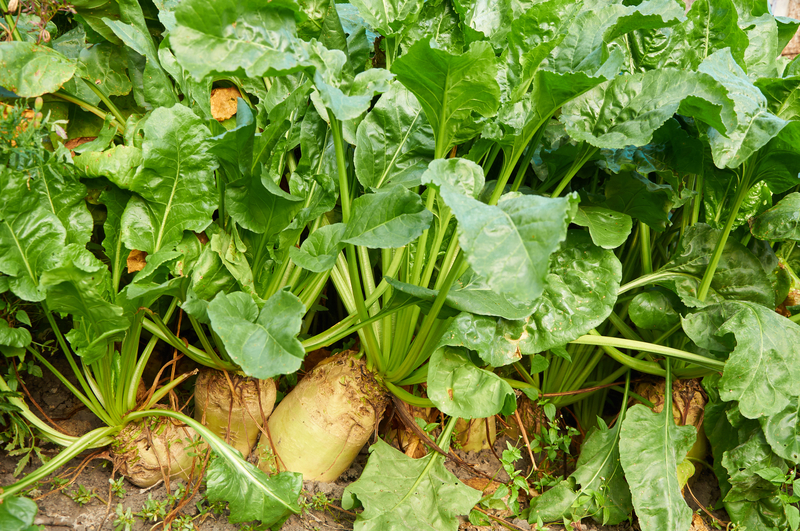 The root of the red mammoth mangel beet and the giant yellow eckendorf beet will grow to an average of 15 to 20 pounds apiece, thus providing a sizable amount of feed — up to 50 tons per acre. The greens also can be used as feed. These beets prefer neutral soil and are capable of thriving in less-than-ideal soil conditions. Full sun, however, is a necessity. Sow seeds directly into the prepared soil one month before the final frost date for early harvest, 10 to 12 weeks before the fall frost date for a late harvest. Seeds should be placed two inches apart and seedlings must be thinned out early. Rows should be spaced no less than 12 inches apart. A moderate amount of rainfall or irrigation is necessary. The greens can be harvested at any time. The roots can be harvested anywhere from 70 to 100 days after planting. In warmer climates, the beets may be stored in the field and dug up as needed. In colder climates, store mangel beets in a root cellar or other cool, dry area. Traditionally, mangel beets are not used as livestock fodder until January. During the time between harvest and January, certain components begin to break down in the root, making them easier to digest and less likely to cause digestive issues in your livestock. Have you tried using mangel beets as an alternative feed for your livestock? Let us know if you have any tips for growing, harvesting or storing it! One of our goals for next production season will be allotting acreage to plant for the goats – solflowers, radishes, beets.